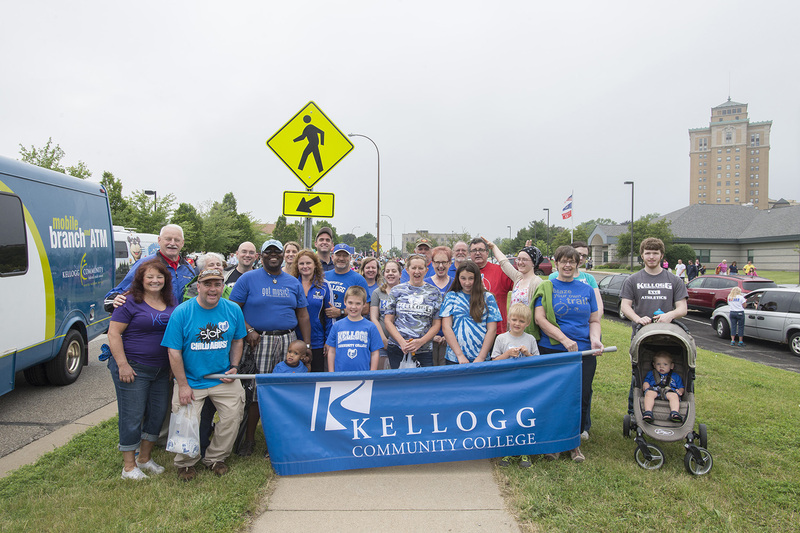 More than two dozen Kellogg Community College students, employees, friends and family members braved the threat of rain Friday to represent KCC by walking in the 2015 Battle Creek Cereal Festival Parade. Thanks to all who came out! View 19 photos of KCC’s group walking in the parade in the 2015 Battle Creek Cereal Festival Parade gallery on KCC’s Facebook page or see them below in the embedded gallery. Like KCC’s Facebook page online at www.facebook.com/KelloggCommunityCollege.